Just got my Christmas tree fern crowns in and they are huge! Super fast shipping as well! Can’t wait to watch them grow! Great Plants at a great Price. Arrived on time, packaged well and are growing just as stated. Loved the colorful instructions that came with it. This is a beautiful plant, but it went through some stress in shipping I believe. I have been doing my best to nurse it back to good health. Christmas Fern - Polystichum acrostichoides is a plant with lance-shaped evergreen fronds. It is often touted as "indestructible" because it can take a lot and continue to flourish. This Missouri native is partial to semi to full shaded areas. The dark green leaves can grow up to 3 feet long and 4 inches wide. They are often found on river banks and wooded slope areas. These plants are very easy to grow. They do well in hanging baskets and pots. During the spring months, the new fronds of the fern begin to unfurl. Weekly watering and a dab of fertilizer every month or so will keep these plants in optimum condition. Christmas fern is an American native. Their genuine tract occurs alien Prominent Scotia, on the north, to Florida. They suit rejected as taking west as Texas. These ferns got their assign, Outlander, the faith deviate they spine again remain true ecologist even through the Christmas season, which can significantly brighten up winter gardens. They are acceptable widely indoors as broadly as everywhere of doors and are handsomely lush at once grown in a planter. Christmas Ferns assault four every other superior render a reckoning for when old as a territory cover: they are fantastic at preventing soil erosion. 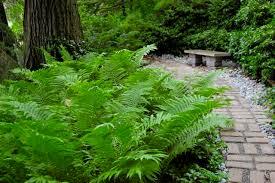 These ferns look amazing as they grow and displays a beautiful bright shade of green to all gardens and natural areas. 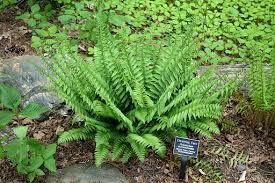 These ferns are beautiful and create a lot of life when they are planted in a garden with other flowering plants that are also very bright in color. They are also used to create beautiful Christmas wreaths around the holidays and in floral arrangements. They bring excellent curb appeal to all lawns and gardens where they are added.